Hi, My name is Bren. I struggled for years with drinking and paid a high price with missed opportunities and devastated relationships. I went from living a rockstar lifestyle, buying and doing up houses - to being the last guy at the pub at closing - to waking up first thing Monday morning and pouring a glass a wine. I stopped drinking for the final time just on two years ago. I say for the final time because I quit and then relapsed for about four years before that. Now, I do yoga four days a week, and this Sunday I compete in my second half marathon. A crucial part of my recovery was to write a blog and I wrote http://soberin100days.blogspot.com for the last five years and connected with thousands of readers who are living a similar life. Tired of drinking and in need of a change. So, with some encouragement, I wrote my first book. And then my second. And I'm on my third right now. 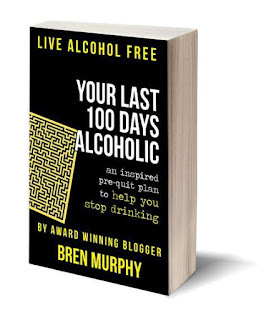 Today, I am giving my 206 page Live Alcohol Free pre-quit program away fro free and I am putting out a genuine call for some fellow members of the 10k Readers to offer a honest, and insightful review.